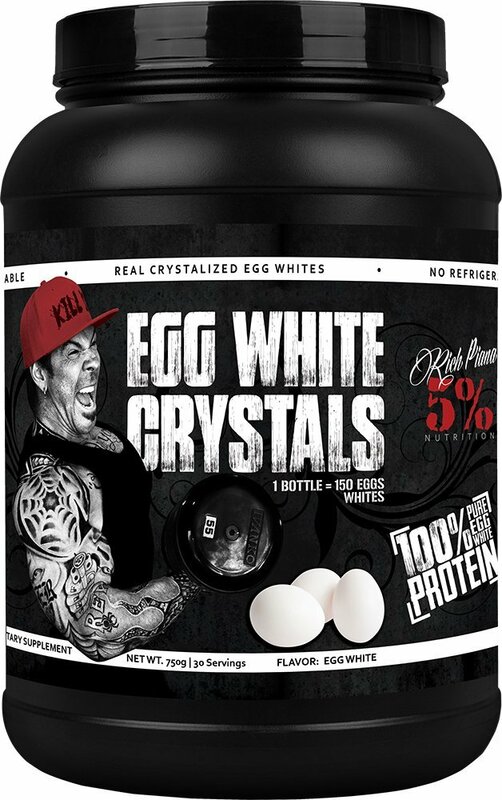 Rich Piana's Real Food Egg White Crystals are simply that - egg whites that have been gently evaporated so that you can conveniently travel with them, take them to work, make them into shakes, or reconstitute them and cook with them! Check that review out above - Mike runs through the ENTIRE gamut and decides that these are way better than the liquid egg whites he had been using. Pan fry them, microwave them, and/or drink them up! Chocolate tastes WAY better than you'd expect!